Zion Stone creates manufactured stone with our unique in-house design. Our products provide customers with a design component that lends character, texture, and style to any structure, whether it’s residential or commercial. 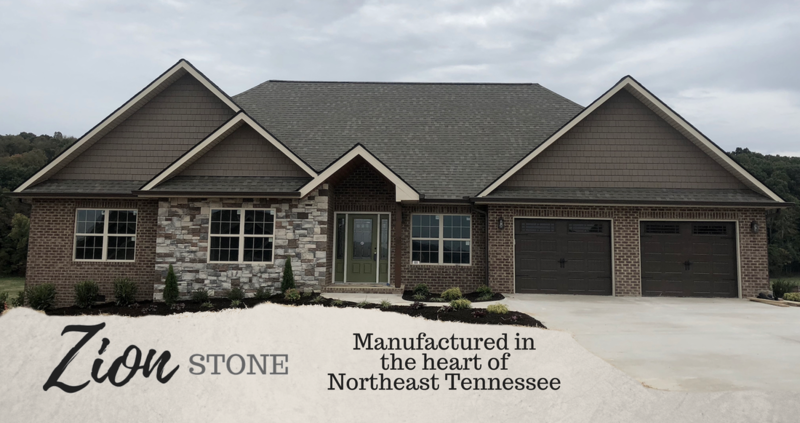 As a local, Tri-Cities native owned business, we are committed to creating the most realistic and durable manufactured stone. Because natural stone is unpredictable, we specialize in creating stone veneer products that are consistent in quality, and are as unique as the genuine article. You can enhance your home with the beauty of stone for a fraction of the cost by choosing our beautifully crafted stone veneer products that ensure timeless style in your home or business. It all began with a dream from a father and daughter duo: create unique stone veneers to enhance the world that God has created. We began preparations in 2016, working hard to mold our dream into reality, and carefully crafting our stone with a passion for creativity. Every day we are working together to create custom styles and colors to truly set your home or business apart. New colors are added frequently, so stop by our showroom to see our designs! By choosing Zion Stone rather than the competition, you will save hundreds and even thousands of dollars, because we manufacture locally. Zion Stone enjoys sponsoring local sports teams, nonprofit organizations, and hosting supply drives at our showroom. We have been honored to serve our community, and we are here to serve you! Thank you to our supportive community for voting us as the Times News Reader's Choice Award for Best Stone! We are also very honored to have been chosen as the KOSBE Award Winner for Manufacturing Excellence!